Ethnomusicologist & Project Leader Violeta Ruano writes about Stave House in the Sahara early childhood music education project and the socio-cultural landscape of the Saharawi refugee camps in Southwest Algeria. Anywhere I go, few people know what on earth I am talking about when I mention that I teach music in refugee camps in the middle of the Sahara desert. Wait, what? Refugees? Western Sahara, is that a country? But are they Algerians? Nevertheless, despite being rather unknown, the Saharawi is one of the longest protracted refugee stories in Africa. The country where these refugees come from, ex-Spanish colony Western Sahara, is still pending decolonization since Morocco annexed it to its territory after Spain left in early 1976, forcing more than half of the population to flee and seek refuge in the nearby harsh Algerian desert. And there, daily battling with extreme temperatures, sandstorms, dust and lack of resources, the resilient Saharawis have been building their own nation in exile for the past 40 years. One of the most important survival strategies for the Saharawis has precisely been to preserve and bolster their traditional oral culture, which has always had music at its heart. Closely linked to the musical traditions of other parts of West Africa, especially Mauritania, traditional Saharawi music combines powerful poetry in Hassaniya – their local Arabic dialect – with a musical system based on modes, usually sung accompanied by instruments such as the tidinit (lute) and the tbal (drum). 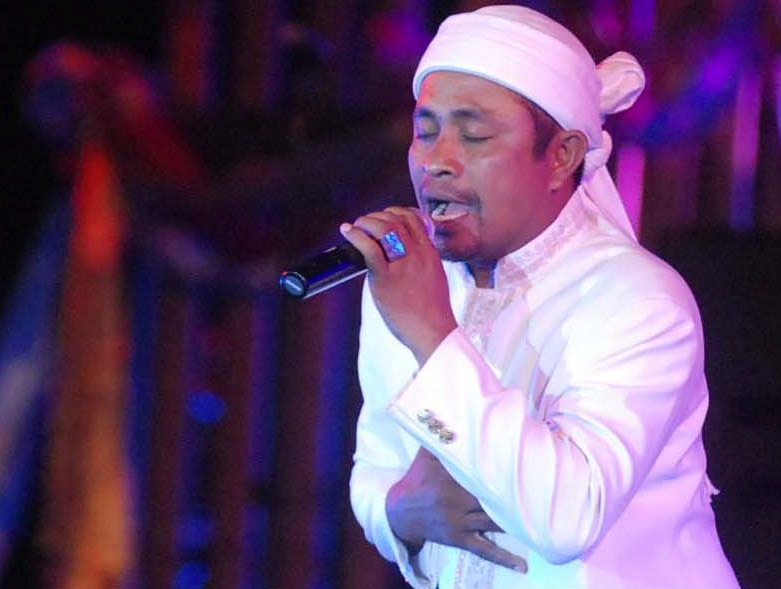 Throughout the past decades, the Saharawis have introduced many changes to their music, including revolutionary lyrics documenting their struggle and new instruments such as the electric guitar and the keyboards. In addition, the Saharawis have also worked hard to provide as many varied educational opportunities for their children and youth to grow strong and independent. Since 1976, they have joined international grant schemes, built and managed local primary and professional schools, and supported a vast number of collaboration projects such as children’s libraries, art residencies, film festivals, concerts and much more. Stave House in the Sahara, officially launched last February 2016, is one of the newest additions to this list. This project consists on the facilitation – and by facilitation we mean working collaboratively, without impositions – of early childhood music education through the English language in primary schools in the camps. Our methodology aims (we’re still developing it!) to combine oral traditions with innovative and fun music teaching method Stave House (www.stavehouse.co.uk), which has already been successfully implemented in many schools around the world. This method is based around captivating stories and light and portable teaching materials; it doesn’t need electricity nor fancy equipment, which is ideal for the living conditions in the camps. Between March and April 2016 I worked alongside 3 Saharawi teachers – Gejmula Mohamed, Fatimetu Melainin and Tekwen Mohamed – to develop lesson plans and activities that link in with and enhance the Saharawi children’s daily study routines, while teaching a pilot project with a group of 30 children. It has been wonderful to see the children thrive with the stories in the lessons while learning basic music concepts and a few useful words in English. Apart from the music curriculum, we also aim to develop a full English language course that draws on poetry, stories, and song lyrics. Stave House in the Sahara has a simple, but very powerful idea at heart – every child should be able to experience the joys of making music (any music!) no matter the circumstances. Stave House in the Sahara is a collaborative partnership between Stave House, British charity Sandblast, the London College of Music, the Saharawi Ministries of Culture and Education, and the primary school of Lal Andala, in the refugee camp of Boujdour (although we hope to be reaching other schools soon!). If you want to get involved, visit our recently launched JustGiving fundraising campaign, and please consider making a contribution if you can! There’s a new band from Iceland that’s recently been getting a lot of well-deserved attention. Mixing their own original rock-oriented music with traditional Icelandic songs, this group of 4 friends from the town of Mosfellsbaer; near Reykjavik, is taking the world by storm. And shaking the foundations of the Earth. By performing inside a volcano. Yes, you read that right. Their last video took about 26 hours to shoot and was filmed inside the Prihnukagigur volcano, which thankfully has not erupted in the last 4,000 years. You can see the video shot of the song “Way Down We Go” here. Is Kaleo a multicultural phenomenon? Although from Icelandic roots, they chose a name that means “the sound” in Hawaiian and have relocated to Austin, Texas in the United States to prepare for recording more music and touring. Members of the group include bandleader, Julius Son, David Antonsson (drums), Daniel Kristjansson (bass) and Rubin Pollock (guitar). For more information on the band plus schedules for upcoming shows, check out the official Kaleo website at http://www.officialkaleo.com/. Although it’s often mistaken for a folksong, this popular spiritual that often pops up around Halloween was written by African-American author and composer, James Weldon Johnson. The song has no exact date of composition, however, it was first recorded by the Famous Myers Jubilee Singers in 1928 and some versions of this song also give writing credit the author’s brother, J. Rosomond Johnson. Since that time, it has been rerecorded and made popular by a wildly diverse group of musicians and performers including Rosemary Clooney, Tennessee Ernie Ford, The Mills Brothers, The Kingsmen and even Phish. 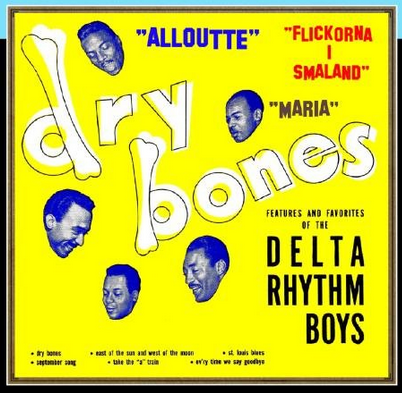 You can read one version of the lyrics and check a video of the Delta Rhythm Boys below. 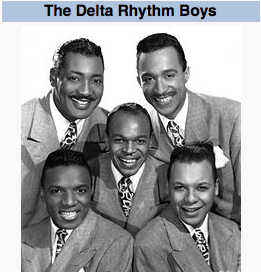 The Delta Rhythm Boys were a very popular musical group that made this song well-known through their performances on radio, television and on Broadway. • Now hear the word of the Lord. • Dem bones, dem bones gonna walk around.